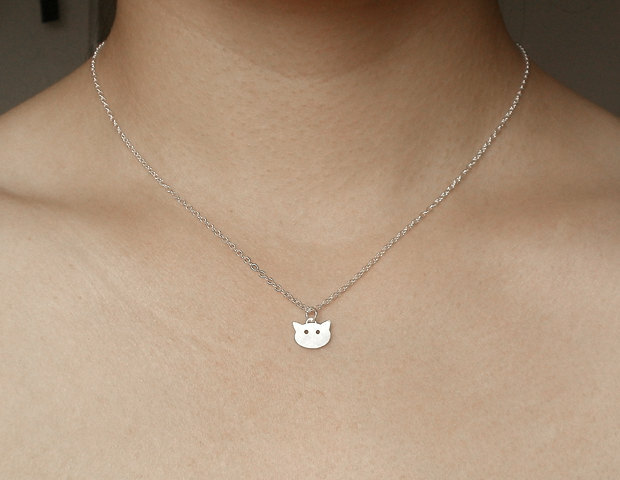 This cat necklace is handmade by myself here in southwest England. 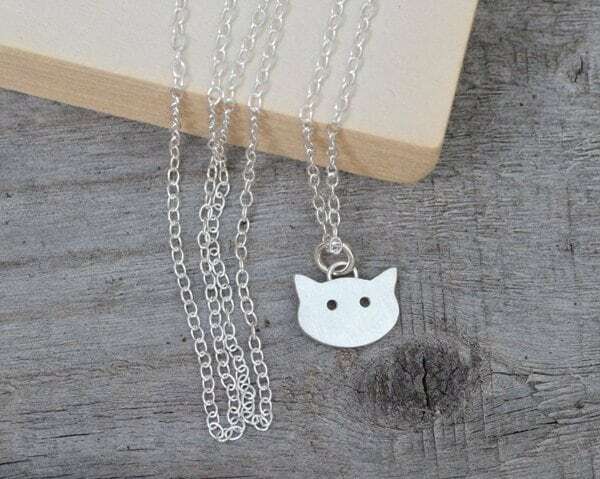 Material: solid sterling silver as shown, also available in 9k yellow gold, 9k rose gold, 9k white gold, 18k yelllow gold, and 18k white gold. Please choose from drop down men. bought this for my friend, it was smaller than I was expecting but still gorgeous! Definitely worth it! Perfect gift for a friend who now wears it all the time. Arrived in super quick time with lovely wrapping, so a great purchase all round! 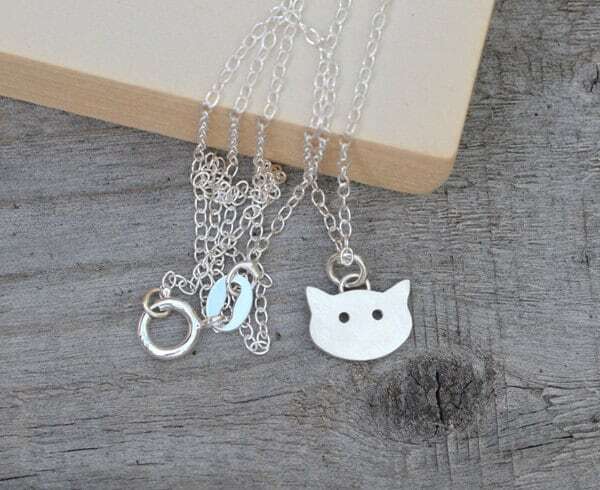 This necklace is super cute! Well worth the wait. Thank you!